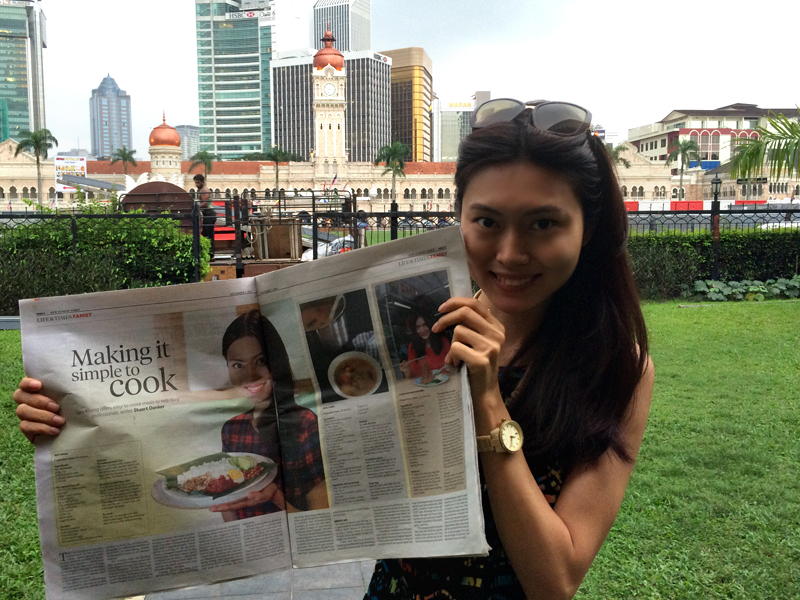 My cookbook is featured in NST & Malay Mail! 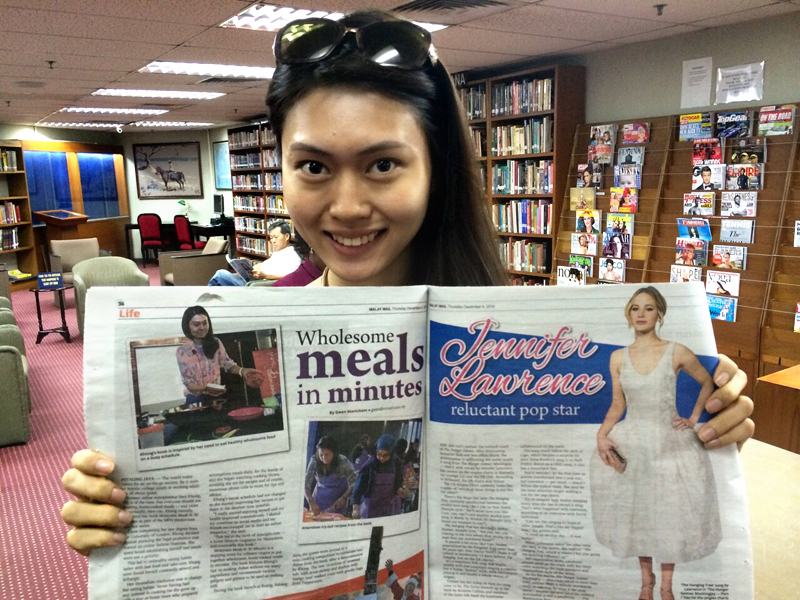 It was too late to get a copy of the newspapers in which my cookbook, ‘Malaysian Meals In 30 Minutes’, was featured. 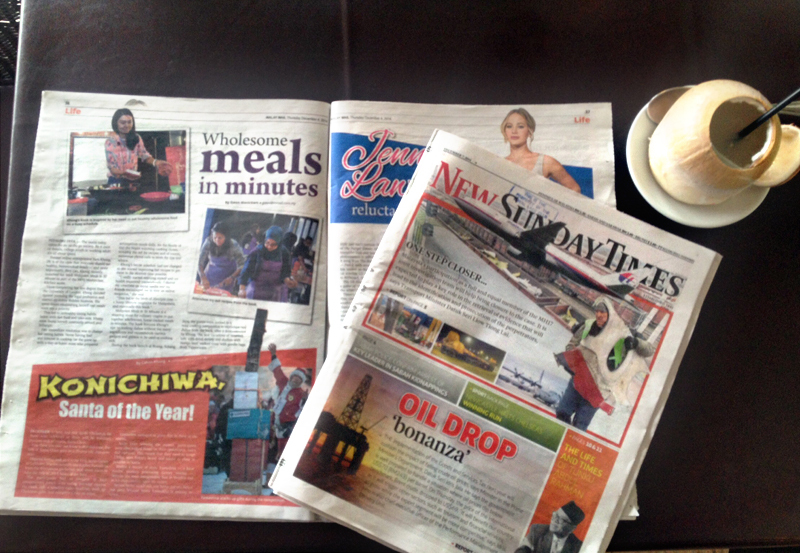 Getting yesterday’s paper is not easy. That was when I realised how most of my friends and even older family member don’t read (physical) newspapers anymore. So I seeked my mother’s help to try to get a copy from the newspaper vendor whom she is in good terms with. The Boyfan got an even better idea: club library. So we went to Lake Club and the librarian kindly gave them to us since she saw my face plastered on it. How kind of her! 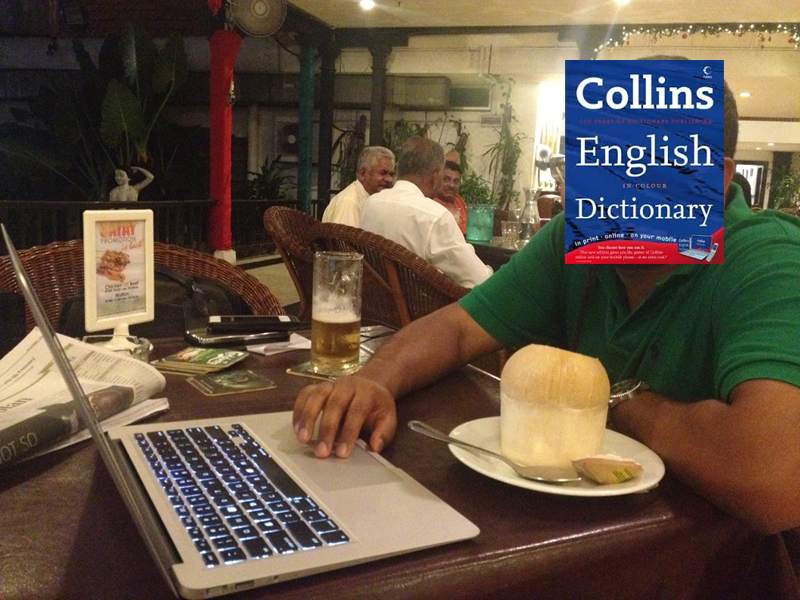 Then we went to our favourite place in KL to read the papers, take some photos, blog and dined. (And I made him read what I wrote about him. His loud chuckle clearly showed that he was amused though he claimed I hurt his public persona) You can read the interview with Stuart of New Straits Times here.